A space-time structure exhibiting closed time-like curves. 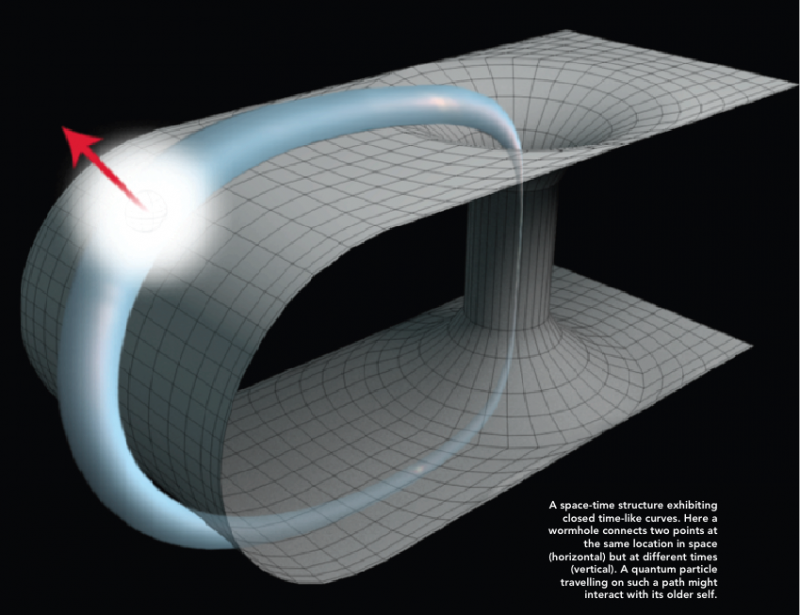 Here a wormhole connects two points at the same location in space (horizontal) but at different times (vertical). A quantum particle travelling on such a path might interact with its older self.